If you don’t take a bite of the local cuisine, it can be a pity when you stay in a new place. 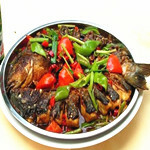 Thus, it is highly recommended that you enjoy the local food in Guilin. Guilin occupies a prime location in the low latitude zone with a subtropical monsoon climate. Guilin is endowed with rich rainfall and heat, enough lighting, long summer, short winter together with a long frost-free period. Many waterways run around Guilin Area, including Li River winding through Guilin City. Where there is no water, there are no living things. 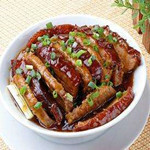 Guilin offers natural, green, and healthy meat, fruit and vegetables. Natural, fresh and green ingredients are cooked into the local food, such as Guilin Rice Noodles, braised pork and taro, braised pork ribs with taro, Yangshuo beer fish, sticky rice cooked in bamboo tubes, stuffed Li River snails, toffee taro, Nuns’ Noodle without meat, old duck stewed in gingko nut soup, Guilin sticky rice dumplings (Zongzi), and fried dried fish with picked vegetables. From the ancient ages on, officials and businessmen have gathered in Guilin. 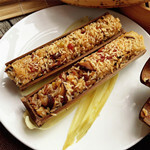 As a result, eating habits from South China and North China have co-existed all the time. 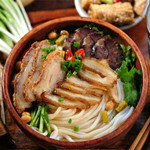 Guangdong cuisine, Sichuan cuisine, Hunan cuisine, Zhejiang cuisine, Jiangxi cuisine and Fujian cuisine have been passing on. So you also can sample other food originating from other places in Guilin.